Everyone loves order, some more than others. And there is nothing more frustrating than opening up a Revit file and the Project browser is a complete riot. Some of you will have this skill down to a tee, but a lot of people have no idea about this little gem. Proper browser organisation is a great skill to have, especially when collaborating. It is something your colleagues will love you for. I know I personally can’t be happier when I open up a Revit file and the browser is easy to understand and logically sorted/grouped. In this Tips & Tricks we will take you through the process of creating your own “rule” for organising the project browser into “Type” then by “Scale”. But any setting can be used, you decide. This can be done at any stage in your projects life, but it is recommended to have this set-up in your works template. 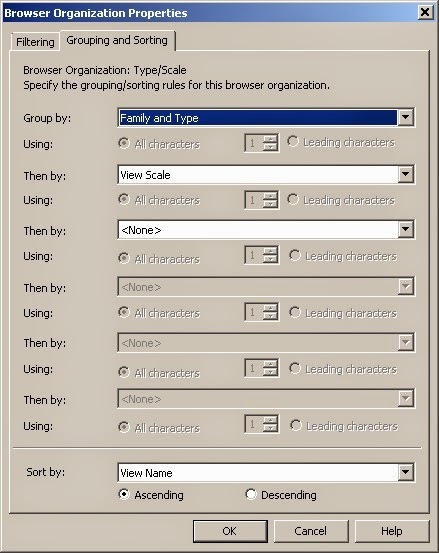 Step 2: Name the new rule as you see fit, click okay, this will open another dialogue box called “Browser Organisation Properties”. You may apply a filter to your browser (say, if you didn't want to see any Mechanical discipline views) but we are not in this case. In here, we have used the default “Sheet prefix” option, but edited it to group the sheets by the LEADING 2 CHARACTERS. Because the naming method used in this project (A1-01, A3-01, A3-02 etc.) This works very well, this will group all my sheets into paper size. Which makes navigation much easier. Click OK and your browser should now be organised and grouped according to your specifications. And it is as easy as that.